Planing on getting a quality clipper, as I cut my own hair. Today I use a cheap Phillips battery clipper, which is no good. Have to do many passes to get a nice cut. I have been looking at the Oster 76 Classic. What do you guy's recomend? As I live in Norway, I need a 220v version. Or use a 220-110 V converter, but I'm not sure if this will be optimal for the clipper. This should be interesting. I shave my head every couple days with clippers and I've been doing it for almost 10 years. I can't even imagine how many clippers/beard trimmers/etc that I've killed. I've been been thinking about just breaking down and buying an Oster 76 myself. I'd be curious to know how much maintenance they need and how good they really are. I started buzzing my head every other week while I was on a year of UN duty in South Sudan... wore out a couple of cheap clippers before investing in a semi-pro Remington HC-5810 - which as a bonus comes in a little suitcase packed with various combs (3-40mm), scissors, a brush, and other attaching and connecting parts. Definitly a good buy in my eyes. @Øystein - komplett.no selger denne for litt under åtte hundre kroner. 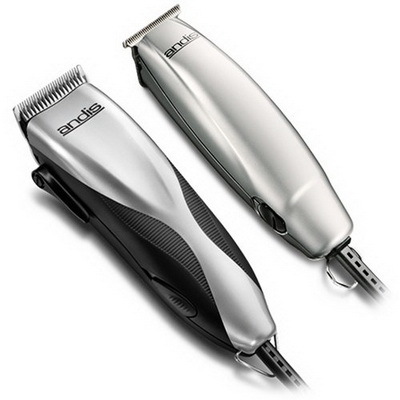 I have had an Oster 76 Classic for a few years, now, and it is the best clipper I have tried. Well worth the money. I use an Andis kit from Amazon, which works very well. @Hans - thank you for the advise. @John - I've also heard good things about the Andis you have. Have you tried the Oster, John? It's quit a big pricedifference between the two. (04-12-2014, 10:56 PM)Striky Wrote: @John - I've also heard good things about the Andis you have. Have you tried the Oster, John? It's quit a big pricedifference between the two. No, this is the first clipper I've had. I read online reviews and comparisons and decided that for me the Andis offered the best quality and reliability for price. I would look for a Wahl 9864 Slate Stainless Steel personally, and even though it is a beard trimmer it still has plenty of attachments that allow it to be used as a hair clipper. It is more versatile than just a hair clipper as you can use it on any part of your body, as well as your beard if you have one. Price is decent too. (04-12-2014, 04:17 AM)Striky Wrote: Planing on getting a quality clipper, as I cut my own hair. Today I use a cheap Phillips battery clipper, which is no good. Have to do many passes to get a nice cut. I have been looking at the Oster 76 Classic. I have an Oster Fast Feed. It is a good improvement over the Walh I had. It runs much cooler, less vibration, made in the USA, and has a heftier cord. I used a cheapo Oster for some 10 years, with those crappy plastic guards. Get the ceramic edge blades for cooler running. I do a 4 on the top (9mm) and 7 on the side (3mm).